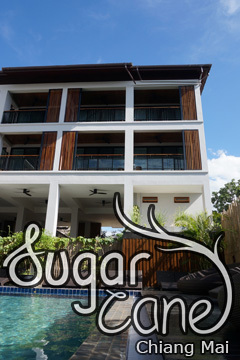 The Inside House - Old City, Chiang Mai, Thailand - Great discounted rates! 9.6 out of 10 based on 27 verified user reviews via Agoda. The 3.5-star The Inside House offers comfort and convenience whether you're on business or holiday in Chiang Mai. The property offers a high standard of service and amenities to suit the individual needs of all travelers. Service-minded staff will welcome and guide you at The Inside House. Guestrooms are designed to provide an optimal level of comfort with welcoming decor and some offering convenient amenities like scale, slippers, mini bar, balcony terrace, blackout curtains. Recuperate from a full day of sightseeing in the comfort of your room, or take advantage of the hot spring bath, outdoor pool, garden. For reliable service and professional staff, The Inside House caters to your needs. The Inside House - Chiang Mai classifies itself as a 3.5 star hotel.